- Tourist tax of 0,50 € per person from 17 years old per day (untill max. 7 days) not included. 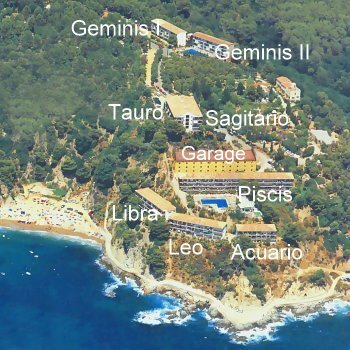 - In july and august minimum 1 week and from saturday to saturday. - Final cleaning (30€-40€-50€-60€,100€) and bedlinnen not included. - For availability please send a mail in reservation. You will receive an answer from our office as soon as possible. - To reserve first payment of 50%. The rest the day of arrival. - Apartments available from 17.00 h.
- Departure before 10.00 h.
- Bedlinnen 7,50 €/small bed, 10€/double bed (towels not available) Extra bed 12,50 € , Cot 5 € per night. - No pets allowed in the apartments. 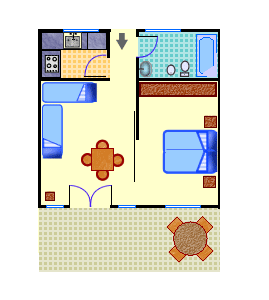 - For disponibility and reservations please consult us. 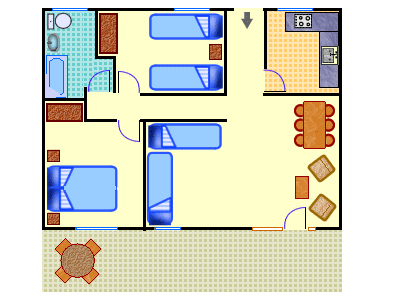 -No tv in the apartments, because of the problems with the receiver. - Payed Wifi (for instance 1 week for 15€). 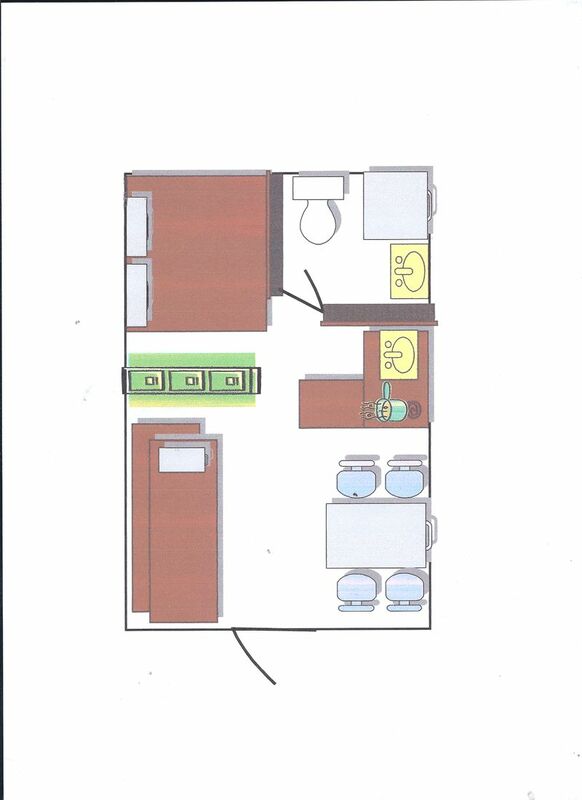 THE STUDIO HAS 2 SINGLE BEDS. 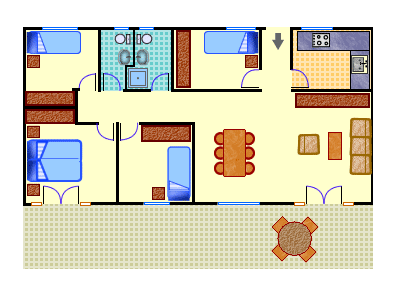 Disposes of 4 bedrooms with in each 1 double bed, 2 single beds, 2 single beds and 1 bunk bed. 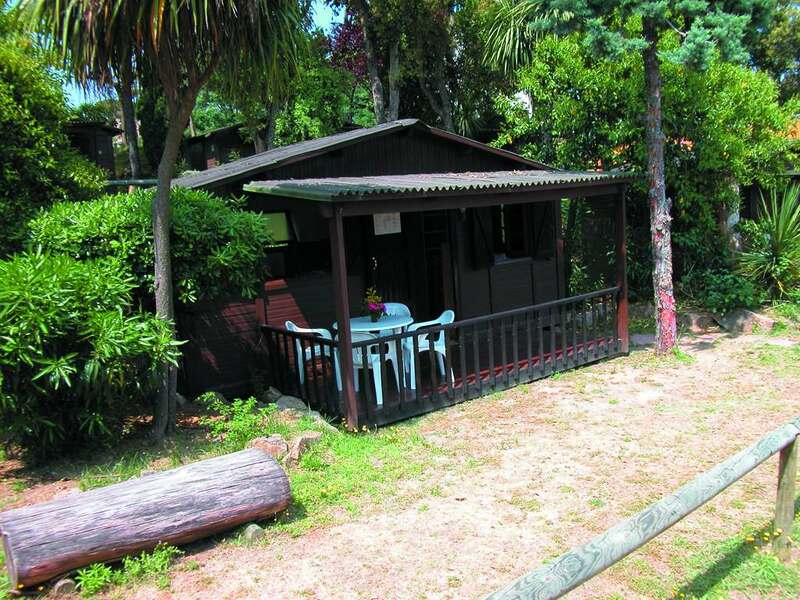 Wooden chalets for 4/6 persons, available from the 01st of august 2018. 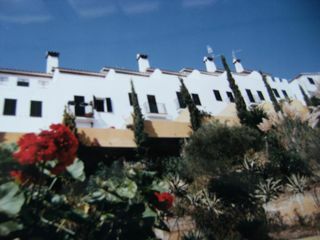 Price: 95 euros per night + 1 final cleaning of 30 euros + tourist tax of 0,50€ per day. 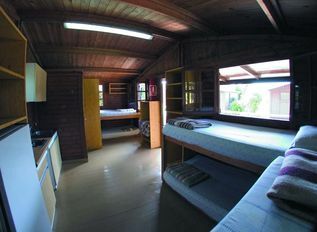 The chalet has a bathroom, open kitchen and 3 bunk beds (6 persons). Outside a terrace with table and chairs. Pool with Bar/Restaurant and free parking. No bedlinen nor towels included.